Referring to cross-border ceasefire violations President Mamnoon accused India of gross human rights violations in Kashmir. Islamabad: Pakistan President Mamnoon Hussain on Friday accused India of ceasefire violations and human rights abuses, saying New Delhi's actions have put regional peace at stake. He also raked up the Kashmir issue at the "Pakistan Day" joint military parade. Pakistan Day commemorates the passing of the famous Lahore Resolution on March 23, 1940, when the All-India Muslim League demanded a separate homeland for the Muslims of British India. On this day in 1956, Pakistan became the world's first Islamic republic. Sri Lankan President Maithripala Sirisena was the 'Guest of Honour'. He was received by Pakistan's Prime Minister Shahid Khaqan Abbasi at the parade ground. Indian deputy high commissioner J P Singh was also seen seated among the foreign diplomats invited to witness the parade. "With these actions, Pakistan's neighbour has put the regional peace at stake," he said. 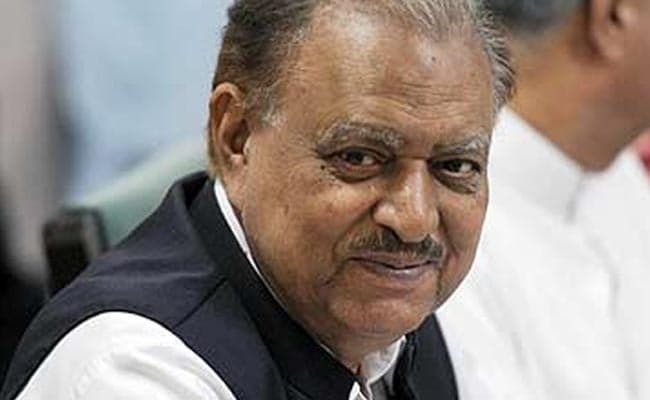 Calling upon for an immediate and peaceful resolution of the struggle of Kashmiri people, the President said, "The only solution to the dispute of Kashmir is to provide the right of self-determination to Kashmiris, and Pakistan will continue to play its role in this regard." He said that Pakistan was ready to extend a hand of co-operation to the regional countries, but "taking it as a weakness will be a dangerous mistake". Mr Mamnoon also said that the global scenario has changed, and now countries could not be coerced to toe the line of one particular country. Cautioning against exploitation, suppression of nations and interference into the internal affairs of any country by another nation, he said "Pakistan's foreign policy was about achieving permanent peace in the world and is based on non-interference into internal issues of other countries". He said that Pakistan had been playing a vital role for the global peace and rendering commendable services from the UN platform for it.